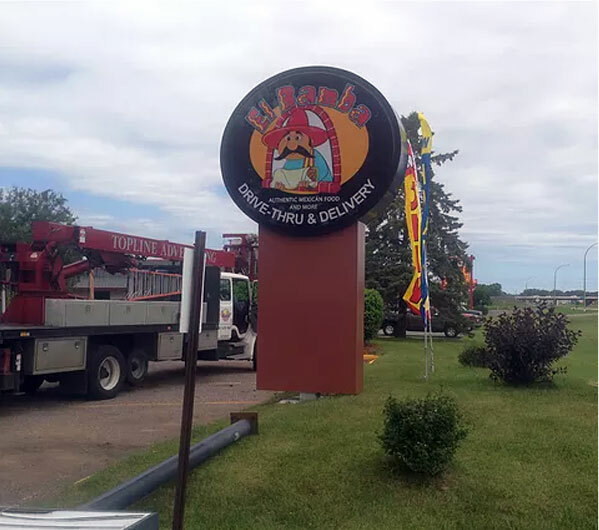 Sign Company | Osseo, MN - Top Line Advertising & Electrical, Inc.
A full-service WOSB, Cert Certified, union sign company who will provide you with the highest quality of services in this distinct industry. 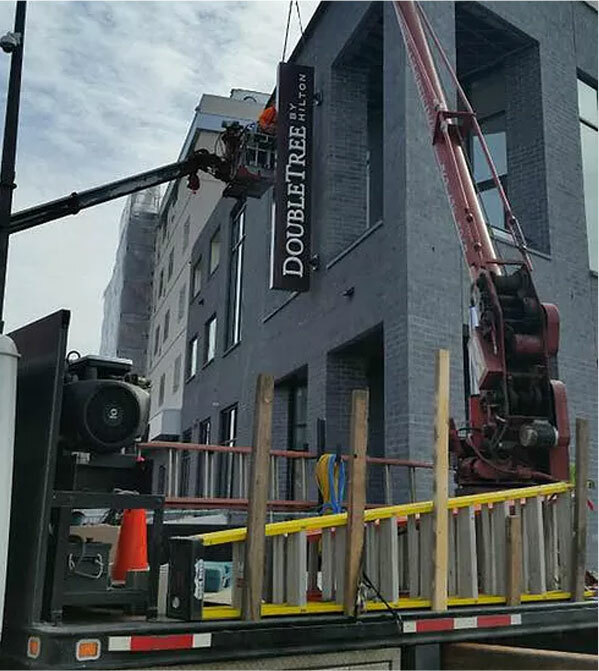 Established in 1984, Topline Advertising has been providing high quality fabrication and installation services for local businesses, municipalities and national sign companies. Recently Topline Advertising Inc. and Topline Electrical Company were merged to form Topline Advertising & Electrical Inc. We are a WOSB who is CERT certified belonging to the International Union of Painters and Allied Trades (I.U.P.A.T.) Local 880, to the Minneapolis Chapter NECA Local 292 unions and the Minnesota Sign Association. We are licensed, bonded, and insured. Our manufacturing team will carefully and creatively craft sign solutions that are consistent with your company’s image and logo standards. We work with several companies to manufacture your distinct sign with perfection and the highest-quality products to ensure that your sign exceeds your expectations. We’ll apply those solutions through every project we work on for you, thus developing an “image branding” approach that adds professionalism and consistency to your company image. Together, we will gather information with you based on needs and wants to help create a unique custom-tailored sign to meet your needs. Our experienced sign installers are proud of the work we do. Whether it’s a custom fabrication for the exterior of your business, removals or tasteful vinyl graphics for the entryway to your store, we take great pride in serving you as our customer. Our installation crew is trusted by national companies for their expertise and the care they put into every project. Employing a hands-on approach, we get your job done correctly in a timely manner. Offering only the highest-quality products, we guarantee you’ll be satisfied with your purchase - including this excellent item. It comes in a wide variety that’s available in-store today. Whatever unique or specific item you’re looking for, we’re confident you’ll find exactly what you need at Topline Advertising & Electrical Inc.